I’ve never made a meatloaf of my own and recently I was in the mood to do one, so I did. 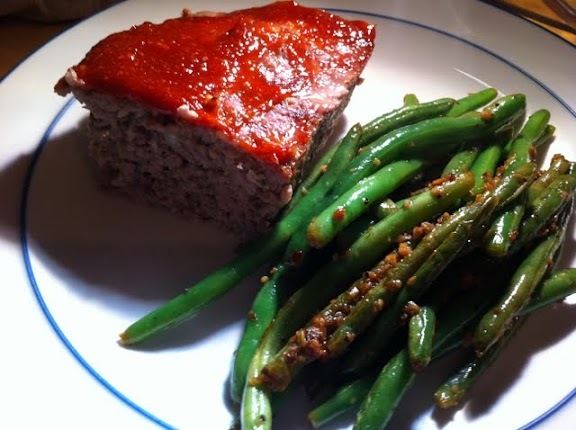 Growing up I can’t say I’ve ever had a meatloaf that left me with the desire to eat it again. So I spent a lot of time searching for a recipe that would sound appealing to me. 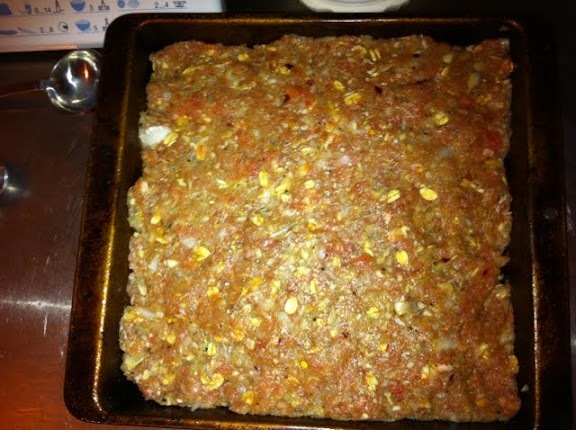 I wound up finding someone’s Gluten Free Meatloaf Recipe and basing my version on theirs. But I also customized it to my own liking and wound up not doing it Gluten Free. 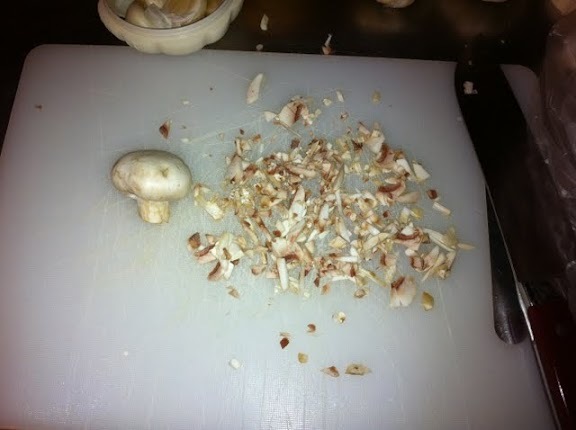 Preheat Oven to 350 and Chop up the mushrooms into small pieces. 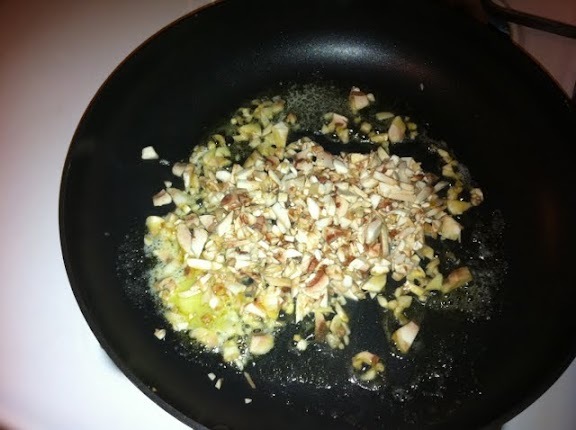 Saute the mushrooms until softened in butter. 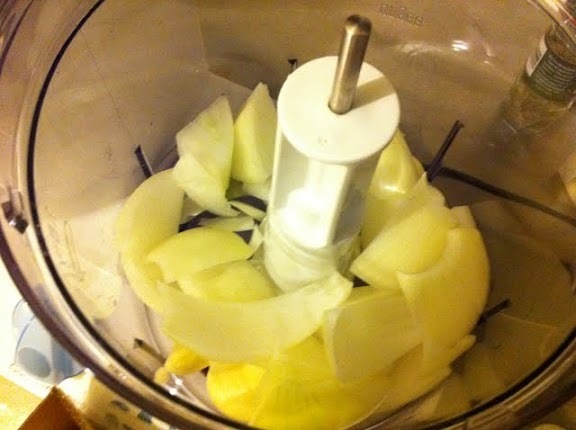 Toss quartered onion and whole garlic cloves into food processor and chop up until fine, but not mush. Or cut them up fine with a knife if you don’t have a processor. 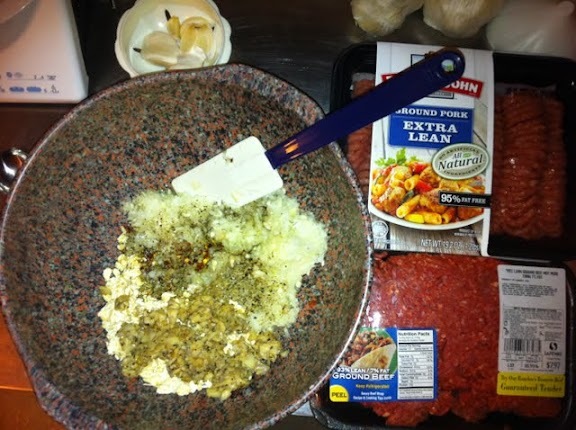 In a large bowl mix the Meat, Egg, Onions and Garlic, Thyme, Oregano, Oats, Salt, Mushrooms, Red chili pepper flakes together. Basically everything but the top sauce ingredients. I used my hands to make sure it was mixed very well. 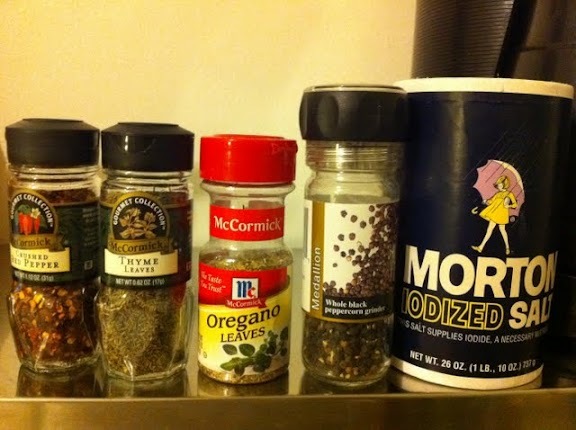 Pat your meat mixture into a greased loaf pan or other pan you prefer to use. I wound up using a 10″x10″x2″ pan. Bake for 15 minutes. While the loaf is baking during this time, mix together the sauce ingredients. Adjust the mixture to taste. 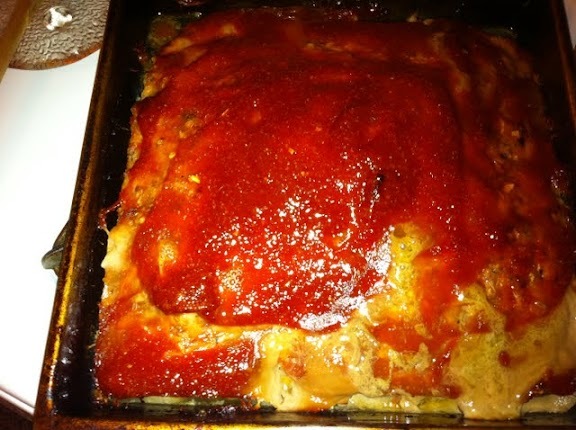 Remove the loaf from the oven after 15 minutes and spread the sauce over the top of the entire loaf. Place back in the oven for around 35 more minutes until the center of the loaf reaches 150 degrees with a thermometer. When done, remove from the oven and serve with a side of your favorite vegetable. We paired ours with some green beans. This turned out to be very tasty and we nearly ate the entire loaf the first night, but wound up having some the following day as well. The recipe that we based this on suggested that we remove the loaf from the pan after shaping it in the pan and cooking it on a cookie sheet. We cooked it in our pan as you see in the picture above. I may try their suggestion next time. 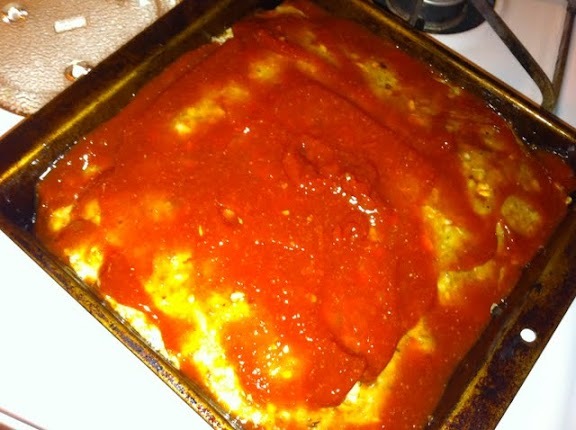 The sauce was very sweet and tangy and the meat was full of flavor and I definitely look forward to making this again.